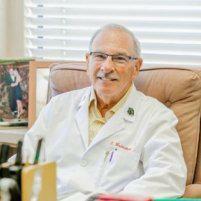 Dr. Weinstein is an incredible doctor who cares about his patients! Dr Weinstein is the best, truly knowledgeable and professional! Dr. Weinsrein has been my doctor for 5 years now and I find him the most knowledgable doctor with great bedside manner. He is attentive and truly care about my well being. I highly recommend him. I was referred to Dr. Weinstein via a nurse practitioner in Fairfield. I’d recently been diagnosed with fibroids and I knew I’d need surgery. I was looking for a doctor who would be able to explain the process with compassion, be supportive and most importantly listen to my issues and concerns. I found that with Dr. Weinstein. On Dec 17th of this past year he performed my abdominal myomectomy and removed 3 fibroids. Although I am still recovering I feel like the surgery couldn’t have gone better. Dr. Weinstein and the nurses and staff at his office have shown my husband and I nothing but kindness, care, support and respect. For any woman experiencing difficulties with her organs I’d recommend her seeing Dr. Weinstein. Although it’s a pretty long drive from Fairfield to Walnut Creek it has definitely been worth it! Dr. Weinstein is amazing! He’s caring, professional and gentle. He provided me with excellent advice at a very critical time in my life. The best part is, if you call the office, he will call you back himself, within the hour. He is one of a kind and I count him in my blessings! Great experience with Dr. Weinstein, very caring and cautious of everything! He made me feel secure and comfortable about my surgery. He is the best OB/GYN in my life sheexperience and cares about the patients' health as his family members'. Dr. Weinstein is an excellent doctor. I will highly recommend to friends and family. Best doctor by far, trust him 100%. Caring, thorough, precise, and most of all very professional. Love Dr Weinstein! What a wonderful and caring Doctor! Dr. Weinstein was absolutely great! He took his time to really explain everything. I had a great visit!